The newly launched GL Series of Grand Pianos from Kawai, possess the essential qualities that have made Kawai instruments a top choice of professional pianists, educators and lovers of music for generations. 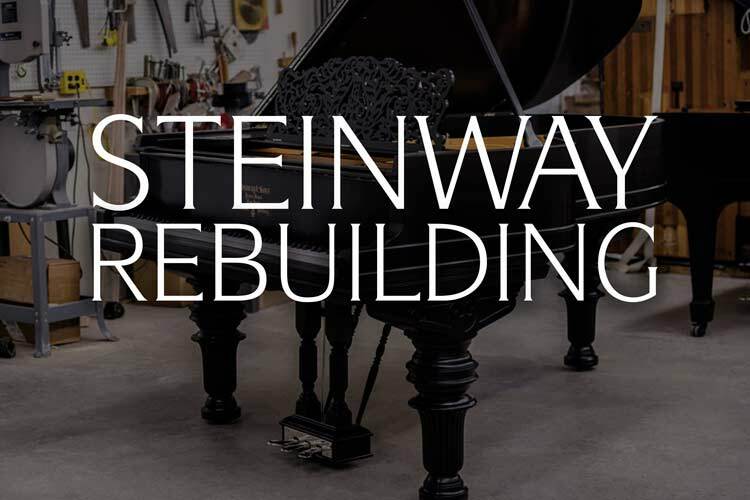 They are built from the highest quality components and are crafted with precision and care, to ensure a piano that will provide exceptional touch and tone that will endure. 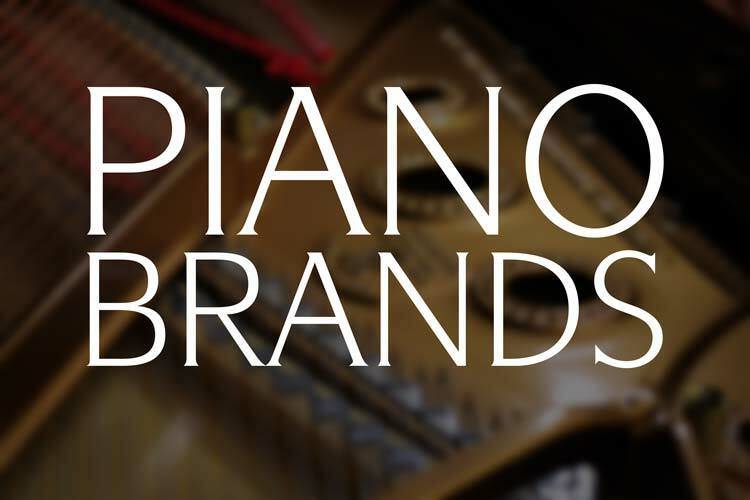 These newly redesigned instruments feature some of the finest innovations ever seen in the piano industry. The exclusive Millennium III Action featuring Carbon Fiber ABS composites, tapered soundboards, extended-length keys and a soft closing fallboard are all standard features on each and every GL Series Grand Piano. The GL Series consists of five models, the GL-10, GL-20, GL-30, GL-40 and the GL-50. Ranging in size from 5’ to a full 6’2”, these instruments are sure to fit your specific needs and preferences at a very reasonable price point. Each of these grand pianos are available in a classic yet modern cabinet and a variety of finishes to fit your tastes. This new line of pianos has combined many of the GM, GE and RX pianos that had been in production into one more understandable lineage. Not only has this made the selection process easier and less confusing, Kawai has made numerous improvements to ensure cutting edge responsiveness, an even stronger design and a full, rich tone. 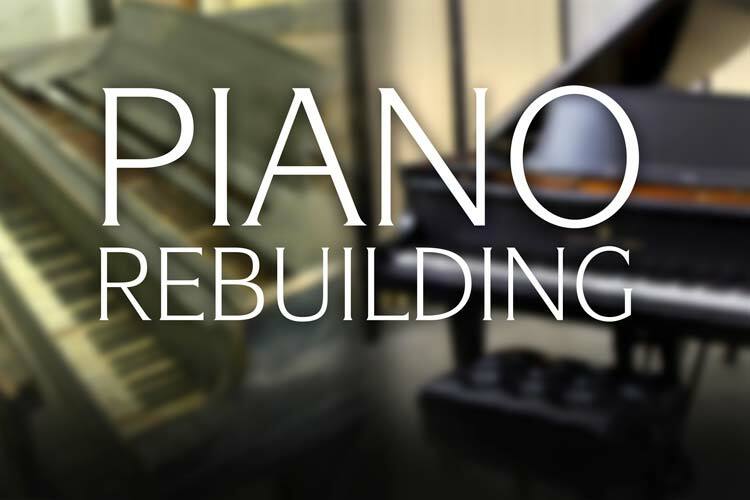 The company continues to do their part in the advancement of piano technology. These instruments truly are classic Kawai! Featuring parts made of advanced ABS infused with Carbon Fiber, the Millennium III Action is an incredibly strong and advanced work of engineering. These parts allow for a very stable and fast action that offers the pianist greater power and control. The exclusive carbon jack is the pivotal link between the key and the hammer. This piece controls the power and repetition of each keystroke. The exclusive design of the carbon jack is a single piece, utilizing Kawai’s ‘Tapered Core’ design for minimum weight and maximum strength. Extended length wooden keys make playing easier and provide an even response from the front to the back of the playing surface. These keysticks are designed with a taller profile, to deliver greater power and rigidity. Concert length extended hardwood maple key buttons adds stiffness to the keysticks for improved energy transfer and extra strength. The GL-50 and GL-40 Grand Pianos feature Kawai’s CORE design. CORE stands for ‘Convergence for Optimum Reflected Energy.’ Convergence refers to the way the piano’s strength centers – the rim, plate and support beams – all focus on one central point at the heart of the instrument. This focus creates an incredibly strong foundation that maximizes the reflective capabilities of the inner rim for optimum tonal power and sustain. All of the GL Series instruments feature solid spruce, tapered soundboards. One of the single most important pieces of piano design, Kawai utilizes fine quality straight grained, quarter-sawn solid spruce for their boards. Maple moldings, premium wool felt and dense underfelt work as one to ensure that Kawai GL Series hammers produce a rich, full tone that Kawai instruments are known for. Kawai pianos are known for being warmer and fuller than many of their regional competitors and the GL Series is no exception to that. Here at Chupp’s Pianos, we have had a number of professional musicians confirm that they prefer the fuller tone of the Kawai over a more metallic tone of similar Yamaha instruments. One of Kawai’s hallmarks is incredible durability. This has made them a preferred choice for institutional settings where they will see heavy use and must perform to a high standard. The Stretcher Over-Lap Integrated Design (SOLID) creates a rigid foundation that supports the string tension. With SOLID construction, the pinblock is fitted to the plate. After this, the pinblock and the over-lapping stretcher bar are then integrated into a single structure and are then locked to the rim. The keybed is reinforced with a heavy duty steel reinforcing bar to support the already sturdy hardwoods. The long piece of wood in front of the keys is known as a keyslip. Kawai has reinforced this long piece with a steel liner to help prevent bending that can cause sticking keys and unsightly warping. The four-way joinery which locks the support beams into the rim ensures an incredibly durable case. All of these impressive features combined with other advancements like the Millennium III Action make for one of the most reliable, durable and high performing pianos available today. We have serviced many Kawai instruments that have seen heavy institutional use. 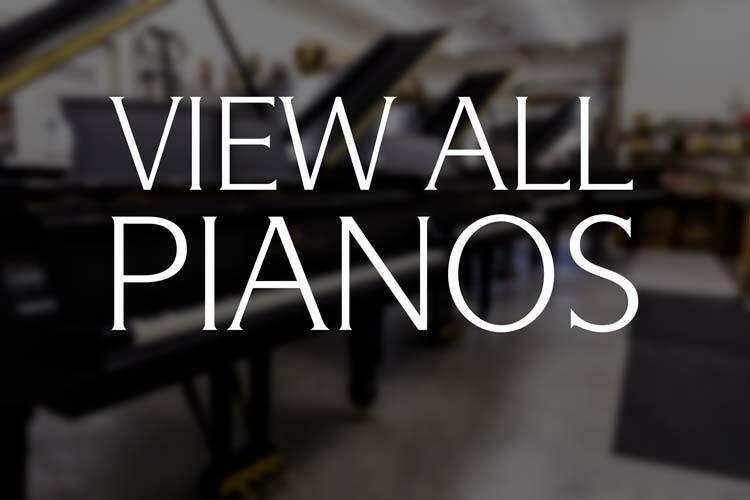 All of these pianos have stood up to the rigors of professional playing and continue to perform flawlessly. Each Kawai GL Series instrument features many details to help set it apart from other pianos within its class. Each GL Grand comes standard with solid brass castors, solid brass pedals, brilliantly bronzed plates and incredibly durable polyester finishes. Hard brass agraffes ensure even string spacing and smooth string movement. Soft fall fallboards ensure no chipped finishes or crushed hands and specially designed music desks can angle to an ideal position for those wishing to compose and write at the piano. All of these features are protected by Kawai’s industry leading ten year manufacturer’s warranty. The GL-50 measures 6’2″ in length, is 60″ wide, 40″ tall and weighs 736 lbs. It is available in a polyester polished ebony finish. Steel-Reinforced Key Slip – For strength and stability. The GL-40 measures 5’11” in length, is 60″ wide, 40″ tall and weighs 714 lbs. It is available in polyester polished ebony, satin ebony, polished brown Sapele mahogany, satin dark walnut and polished snow white. The GL-30 measures 5’5″ in length, is 49″ wide, 40″ tall and weighs 688 lbs. It is available in polyester polished ebony, satin ebony, polished brown Sapeli mahogany, satin dark walnut and polished snow white finishes. Kawai’s GL-30 Grand Piano is an exceptional instrument with a rich, full bodied tone. This 5’5” instrument is in a very manageable size that is sure to fit well into any home or studio environment. The GL-30 measures 5’5” long instrument is 49” wide, 40” high and weighs 688 lbs. The new GL-30 boasts several features over the previous GE-30. Featuring a thicker stretcher bar, longer keys and longer key buttons, the GL-30 is an incredibly durable and responsive instrument. Kawai’s GL-20 Classic Baby Grand Piano measures 5’2” and provides many features that are normally only found within larger grands. 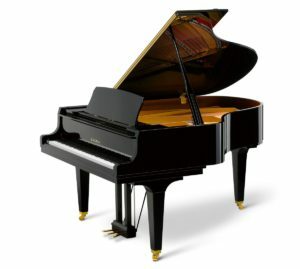 Very responsive and powerful for its size, it is one inch longer than Steinway’s comparable Model S Grand. This Japanese built GL-20 has a host of improvements over the previous GM-10K, GM-11 and GM-12 grands including; a tapered soundboard, a thicker stretcher bar, longer keys, longer key buttons, duplex scaling, agraffes and the Millennium III Action. The GL-20 measures 5’2″ in length, is 59″ wide, 40″ tall and weighs 661 lbs. It is available in polyester polished ebony, satin ebony, polished brown Sapeli mahogany, satin dark walnut and polished snow white finishes. The GL-10 measures 5′ in length, is 59″ wide, 40″ tall and weighs 622 lbs. It is available in polyester polished ebony, satin ebony, polished brown Sapeli mahogany, satin dark walnut and polished snow white finishes. The GL-10 Classic Baby Grand Piano offers high quality and detail within a small footprint. Packed with features normally found only on larger pianos, the 5’ GL-10 will fit almost any room. Comparable in size and performance to the GM-10K, GM-11 and GM-12, the GL-10 features many improvements over the previous models. This includes a tapered soundboard, a thicker stretcher bar, longer keys, longer key buttons, agraffes, and the famous Millennium III action. All of these improvements make the GL-10 one of the leading grand pianos in its class. The GL-Series of grand pianos are truly classic Kawai. Combining decades of advancement and craftsmanship, these instruments feature some of the finest innovations and advancements in their class. With the industry leading Millennium III Action, solid spruce soundboards and much more, you will not find better pianos at such affordable prices. Kawai has made the selection process and the decision to purchase a Kawai grand piano easier than it has ever been before. Chupp’s Piano Service is proud to be the authorized Kawai piano dealer for the Southern Michigan and Northern Indiana regions. 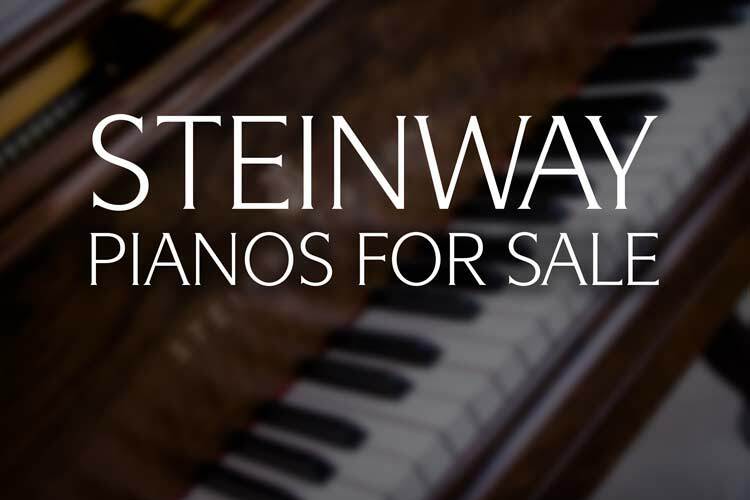 Our showroom features a wide selection of new Kawai, pre-owned Yamaha and premium restored Steinway & Sons grand pianos for you to select from today. Error: Error validating access token: Session has expired on Thursday, 10-Jan-19 19:00:02 PST. The current time is Wednesday, 24-Apr-19 23:32:19 PDT.